Growing up I shared chinchin with best friends at school. At home we served it to guests. Limitless portions of chinchin were a must-have during the holidays. Memories of making and devouring chinchin with my siblings remain some of my fondest (I'm making newer memories by sneaking chinchin into the movies on date nights with my husband, Tosin). It’s great to see my daughters enjoy chinchin as much as I do. 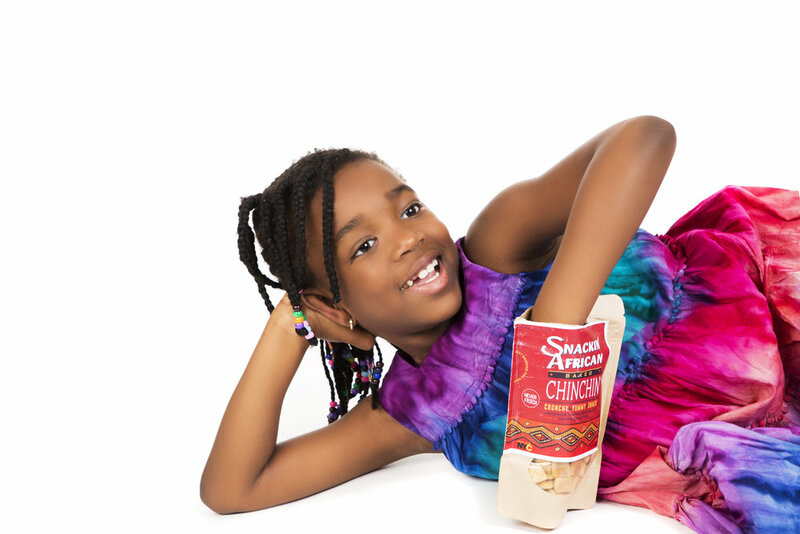 My 7-year-old daughter Tami has loved it since her first crunch and she's constantly crunch ready. Chinchin’s greatest fan, however, is probably my 22-month old daughter Tiwa. She dances and sings, “Chinchin! Chinchin!” each time she gets her hands on a bag (see Tiwa's moves below). The pure excitement and delight on her face is the joy I want everyone to feel when they pop open a bag of Snackin’ African chinchin.